The Muppets Studio did not detail Whitmire's "repeated unacceptable business conduct," but said it spanned "a period of many years." Steve Whitmire told The Hollywood Reporter on Monday that the studio felt he had been too outspoken in expressing how the Kermit character should be portrayed. 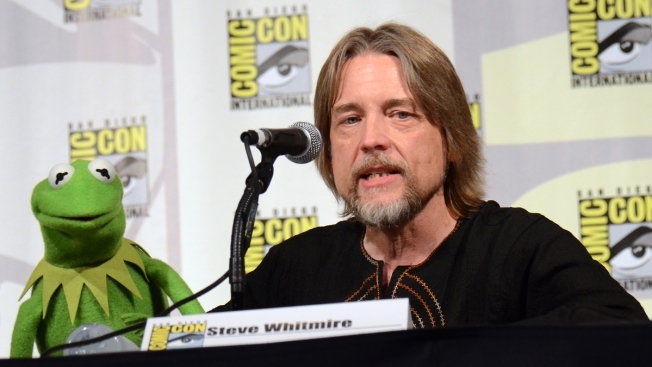 The Muppets Studio is blaming "unacceptable business conduct" for its dismissal of Steve Whitmire as the longtime voice of Kermit the Frog. Whitmire had been with the Muppets since 1978. He took over as Kermit after the death of Muppets founder Jim Henson in 1990. His firing was made public last week. In its statement Monday the Muppets Studio did not detail Whitmire's "repeated unacceptable business conduct," but said it spanned "a period of many years." Whitmire could not immediately be reached for comment, but told The Hollywood Reporter on Monday that the studio felt he had been too outspoken in expressing how the Kermit character should be portrayed. The studio said veteran Muppets performer Matt Vogel is now taking over as Kermit.